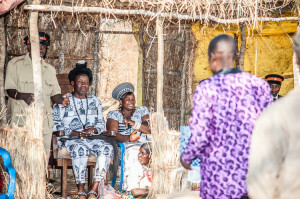 LUSAKA, ZAMBIA –Zambian rural telecommunications and service solutions company Connect Africa has paid tribute to the nation’s traditional leaders and their role in promoting rural development. Connect Africa representatives attended Senior Chief Shakumbila’s traditional ceremony in Mumbwa District on Saturday and have paid tribute to the nation’s traditional leaders and their role in promoting rural development. The contribution of chiefs to enhancing the livelihoods of rural people was praised during the Ikubi-Lya-loongo ceremony in Senior Chief Shakumbila’s chiefdom in Mumbwa District, which was held on Saturday (July 27) near Connect Africa’s innovative low-cost pilot telecommunications base station. 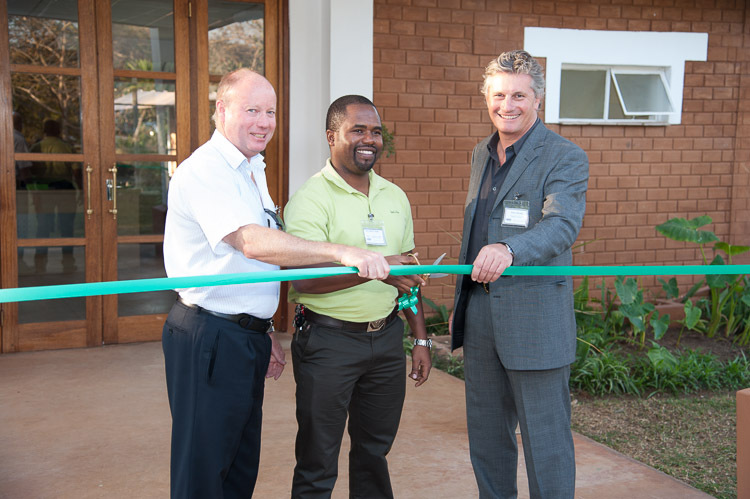 LUSAKA, ZAMBIA –Zambia’s pioneering rural telecommunications equipment and solutions company, Connect Africa, officially opened its Lusaka office today (July 26), paving the way for a roll-out of services across the region. The company has chosen Zambia as its hub, which it plans to use as the springboard from which to launch its low-cost entrepreneur-driven information and communications technology (ICT) services to rural communities across southern Africa. Over the years, Connect Africa’s field work has taken the team off the beaten track through the Southern African region, and led to some pretty interesting revelations. 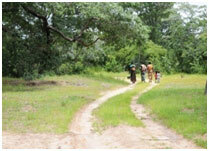 The years of travelling through remote villages and camping in deep rural areas have resulted in a wealth of knowledge about cross-cutting areas of development. 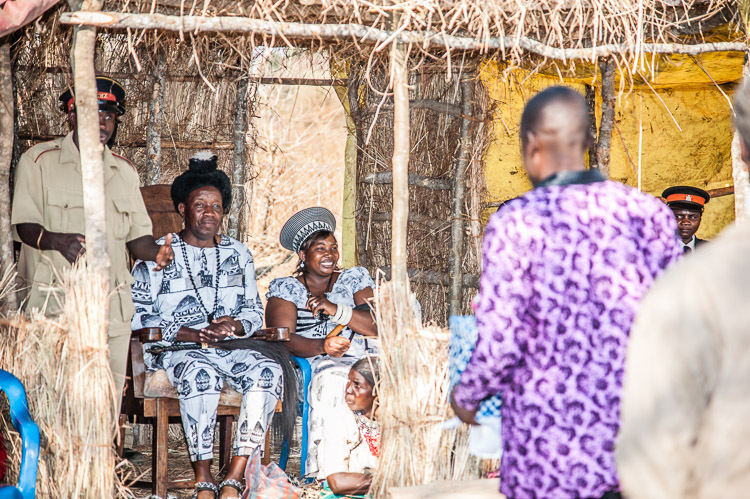 Over the past 10 years, Connect Africa has developed a unique ICT model for rural development that can facilitate government’s socio-economic objectives – quickly. Is it possible to help 1 million people out of extreme poverty by finding and enabling 1000 local Changemakers in some of the world’s poorest countries, in the next decade? Well, Spark* is a non-profit aiming to do just that. 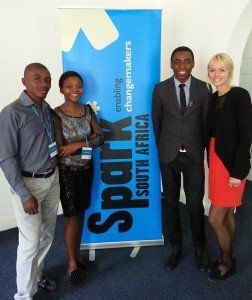 Connect Africa was invited by Spark* South Africa to a lunch in April 2014 to assist in this process, by hearing the pitches of 14 Changemakers and then casting a vote for the Spark* South Africa Changemaker of the Year. 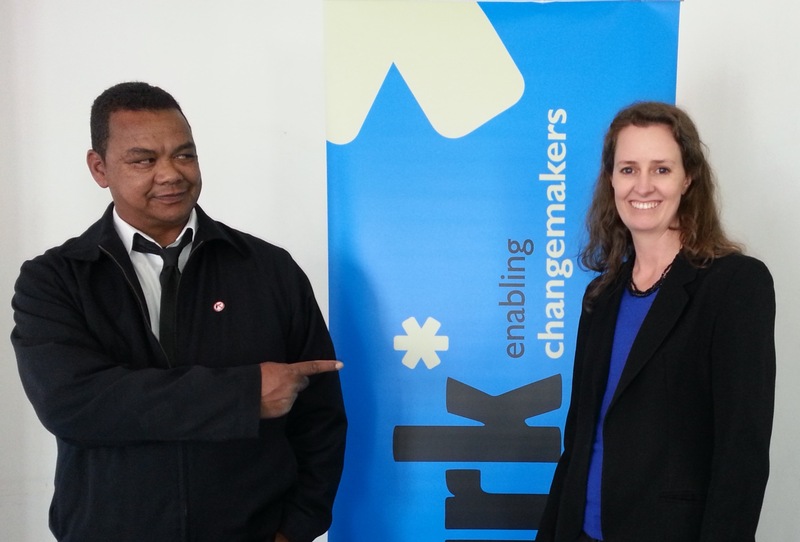 Mwendeni Mafumo, with Spark International Co-founder and General Manager, Kaitlin Tait. These fourteen Social Entrepreneurs had just been through an intensive 5 day programme equipping them with entrepreneurial skills, and the mindset to make their impact as big as possible. And all fourteen of them not only showed the passion for their respective ventures, but also the enthusiasm to succeed in order to have a much needed impact in their communities. What we were most struck by was the number of rural initiatives, and how on a grass roots levels the ventures were planning to work. Like entrepreneur Sly Morukhuladi, whose Hikari Foundation will be uplifting children in the rural Limpopo region, by giving them tutoring, mentoring and career guidance. And Lalumbe Makugy, who’s Rural Bridge Initiative will encourage parents to not be solely dependent on living off social grants, but empower them to start small businesses with access to market in the big cities, to increase their income. Thendo Mapume will be training and developing women in rural areas to start small chicken farms, through his Chix Chickens programme. And how P’NCRO will be doing formal waste collection and recycling in the rural areas, as well as turning waste into re-usable products, led by Matema Thosago. Some of the other ventures included facilitating the community to work with the police force; developing social video games for social change, feminine hygiene products, a recruitment agency for the disabled and many more education of the youth initiatives. The person who won the title of “Spark* South Africa Changemaker of the Year 2014” went to Paul Talliard of Hands of Honour. The audience believed Paul would make the biggest impact with his venture which takes men out of soup kitchens to upcycle and sell distressed or obsolete stock from local companies. The profits are used as salaries and to improve the impoverished yet most productive areas of the community, like painting schools or planting food gardens. Paul won USD1000 to help him take Hands of Honour forward. It was inspiring to hear the social entrepreneurs pitch their ideas, and know that they are more equipped from their attendance in the Spark* programme to impact in their communities positively. 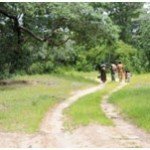 Connect Africa is also more determined to meet our own mandate of providing connectivity and facilitating multiple service delivery in rural Africa, as we can see how we have the opportunity to leapfrog legacy technology to the present day latest options, which will help these and many other entrepreneurs and rural changemakers. And our link with iSchool and our service centres are geared to offer backup and support for eLearning which will contribute to the education ventures we heard pitch at the event. We wish Spark* the very best with their mission, and hope that we can keep supporting them in the future by supporting the changemakers they identify and develop.